Well, the aliens have left me alone long enough that i can do some more work, awful internets on that mothership, they really need to stop using Tiscali. 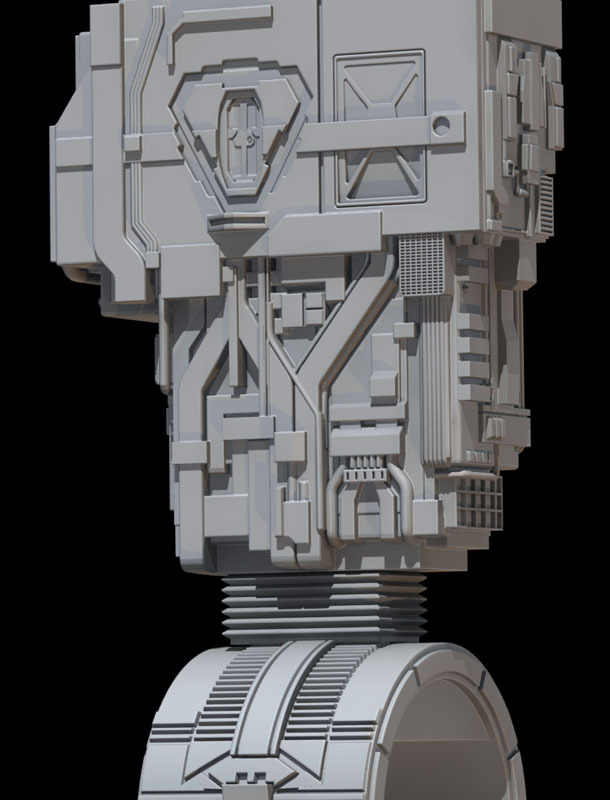 I'm building this for a miniature model kit, this section is about 4.5cm tall when printed... See if you can guess the model. Is it a Bot of some kind? Is it the vaccuum cleaner ship from space balls? is that an airlock up the top there? here's a clue, it's design was essentially "ripped off" for a popular 90's tv show. Well, to me it looks like a part of the Leonov from 2010 - the year we make contact (the sequel to 2001 - a space odyssey). Is that a 6 line sig? Yes, we have a winnar!!!!1! Actually a bit shocked it took this long, and that lee didn't get it... the detailing on the airlock door, and the "garage door" to the left of it are essentially Brickheads details.... just one of a few little bits that are hanging over from Johns earlier effort - which has been a big help in making this model and i can't thank him enough for it. aside from that and one or two little nurnies, nearly everything else you see is new work though... and its all 'water tight' for printing. ah! and the tv-show you mentioned is babylon 5, isn't it? nerd +1, yes your favourite and mine, B5... Its omega class was clearly inspired by the majestic and oh so greebly, Comrade Alexei Leonov. DOH, that was my next guess. Yeah! So what did I win? A trip to Jupiter? A monolith? My own HAL9000? And yes, John did a great job, but crippled by poor & confusing reference material, some new material has been released recently of one of the models used originally... Apparently the poor thing has been hanging over diners at Planet Hollywood in Paris, for many years, i'm surprised its in as good condition as it apparently is, albeit missing a few parts. One day, the mighty orb will land beside you, and you will forever know inner piece. Or it'll forcibly abduct you and use you for market research tasks, which may be invasive. you never know with the orb. Not much of a prize i admit, but the contract is binding either way. I gotta say, i've been working with the new reference material for some time now and it really sheds a lot of light on this subject which in the movie was always shot under very bright, contrasty lighting and reference material is always hard to come by. complicating this is that as with many mini's, there are different versions in different shots. In the movie 2 models of Leonov were used, this is based on the larger, 3.75 meter version which been enjoying its retirement hanging in Planet Hollywood. The other model is around 6ft, or 1.8m. According to the guff at the start of the reference book, its location is unknown... which i guess means either its in a shed somewhere, been burned, or some private collector has it. Yeah I thought it odd that a couple of them were wearing Coolhand t-shirts. Which really is strange because i've not made any yet. Perhaps they were time travellers, or cosmic bootleggers, which would certainly explain the crates of poorly reproduced dire straits cd's and old playstation games in the corner of the cargo bay. Here's a little more;) Note that while its proportionally accurate and the details are roughly the right shape in the right place, they may be exaggerated a little due to the scale of the final production miniature, which is in scale with the 22 inch discovery i recently completed. also small details which wont replicate at this scale are discarded.. which is probably a good thing or i'd be here for years. but i've still managed to pack a lot in. Awesome work, as usual Steve! lol @ Mikey. in Soviet Russia, flight control computer, err, runs flawlessly. 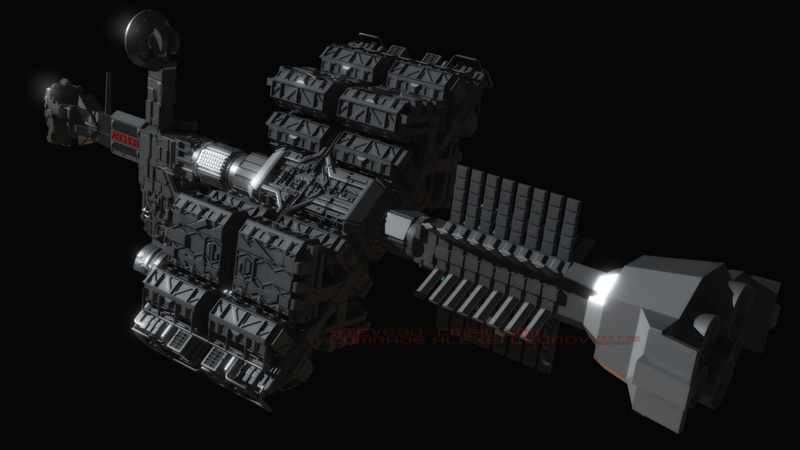 Cross this with the Sulaco--and you have the ships from Babylon 5. It would look nice flying with them. It sure would comrade, it sure would. ;) If you have both kits, you'll be able to have him astride Discovery on your desk before long of course...:) That should look pretty cool, one of the aims of the project is that both are "compatible" so you'll be able to recreate the booster scene from the movie. I'll take two Steve .. looks great so far. what type of printer are you going to use? Ah, I'm not printing it myself but I expect it'll be printed on an Eden... I'm more building it for a specific production process than a printer. 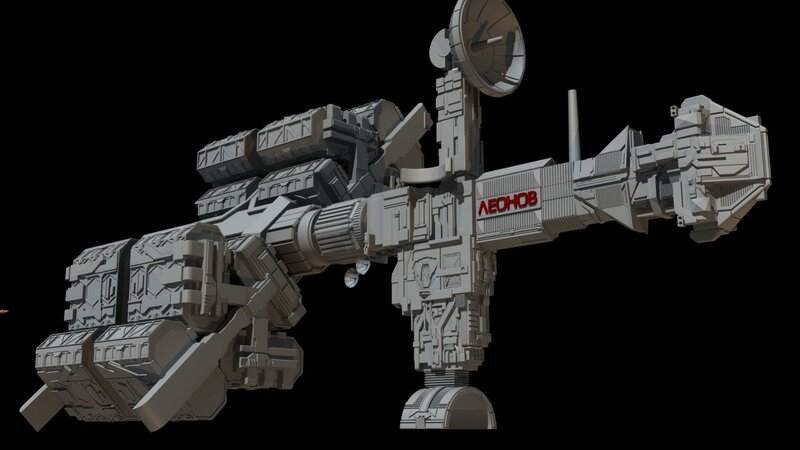 It'll print on anything but for example, making a model for injection molding leads to a different breakdown of parts and internal structure than resin or white metal, and this will be a resin kit but i'm not doing any of the physical production work in this case. Thanks to the wonders of the internets, i'm hanging off the side of an entirely different continent to where the production facilities are based. Easy as pie...uh...or.....A?cake?..Piece of cake?...damn it! !